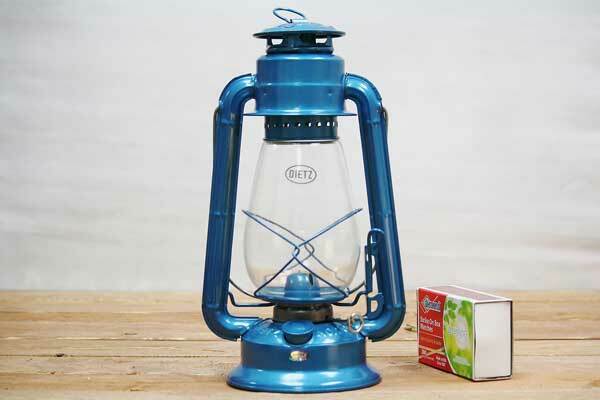 The most popular lantern in the world? It's no contest for the Dietz Junior Lantern #20. First introduced around 1891 these old style lanterns have been an old time favorite for more than 100 years; and is undeniably the style most replicated. They are three-quarters the size of Dietz Blizzard Lanterns; also introduced at the turn of the century. Thumb lever lifts globe for simple wick lighting and trimming. Easy and practical to carry on night walks or among your quiet campsite. Lovely to hang for rugged cabin decor. Great for power outage emergencies. Made by Dietz Lantern Company.